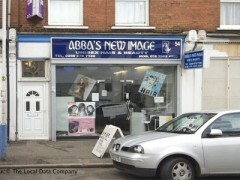 About: Abba's New Image cater for Afro hair and offer a range of hairdressing services including the braiding and dreadlocking of hair. Not very good, I would not recommend it to anybody. Whilst doing your hair, the hair dressers are so focused on having their conversation rather than doing your hair. That’s just one of many other faults. Put it this way- I will not be going back.